IDW has one new Star Wars release today, and Marvel has three. Welcome to the Resistance! 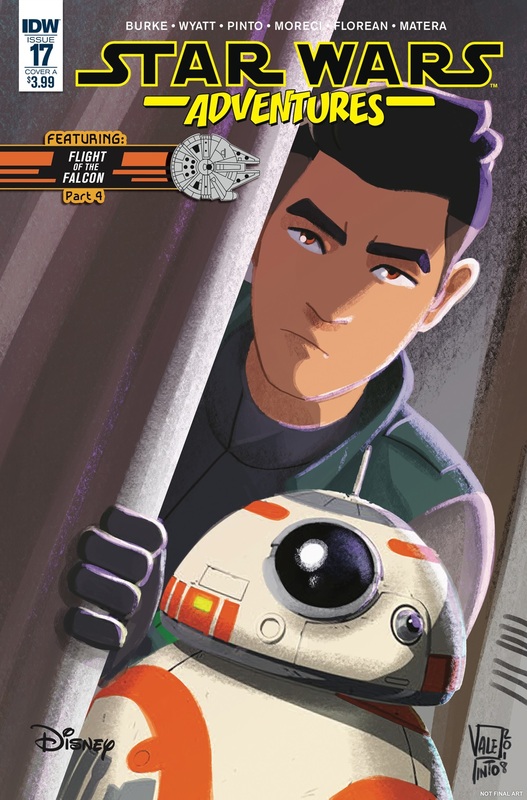 In the time before The Force Awakens, this all-new adventure follows the fledgling Resistance as it begins to realize the growing threat of the First Order! Based on Star Wars Resistance, an exciting new animated series coming to Disney Channel this fall! Ties into the new Star Wars Resistance animated show coming this fall to the Disney Channel! Written by Resistance show writers Chris “Doc” Wyatt and Kevin Burke! Plus, an exciting new Flight of the Falcon story! Latest Databurst From the 501st covering 501st Legion events around the world from January 30 to February 5th. As always, be sure to mark your calendars and support your local garrisons. 70th Explorers Garrison will be in Kansas City, MO for Star Wars: A New Hope Live in Concert at the Kauffman Center. Alpine Garrison will be at Primary Children’s Hospital for a visit. Czech Garrison will be in Modra Skola for PragoFFest from February 1 to 3rd.